Owning Miele is about much more than having the best possible appliances. It’s about enjoying a lifestyle rich in quality – every day. That’s why we offer a series of classes, demonstrations and specialty events that bring the Miele experience to life. 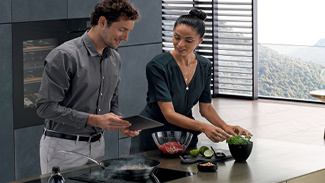 Whether you already own a Miele or are looking to select an appliance, there’s an experience to match your needs. Explore our current offerings below. 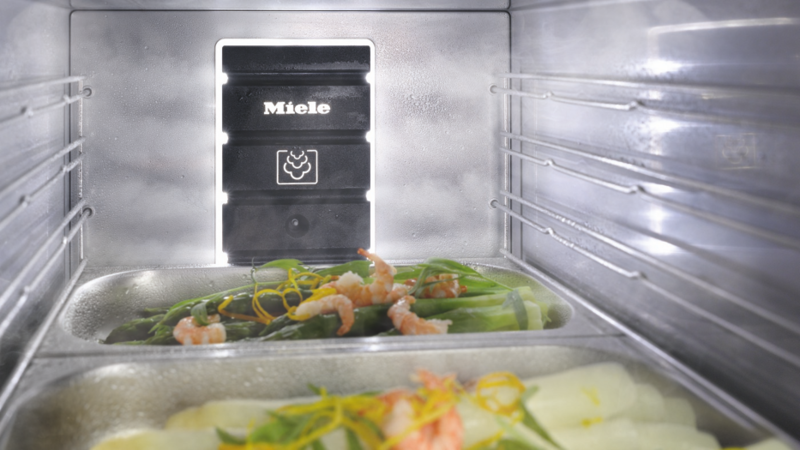 As a Miele owner, you already know your appliance is capable of producing the best quality food. But do you know how to use all of its features? Taking one of our MasterClass classes will help. 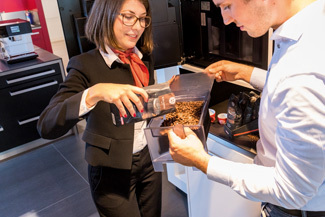 Our Miele Speciality Events classes are designed to provide you with a hands-on experience, in an intimate group environment. 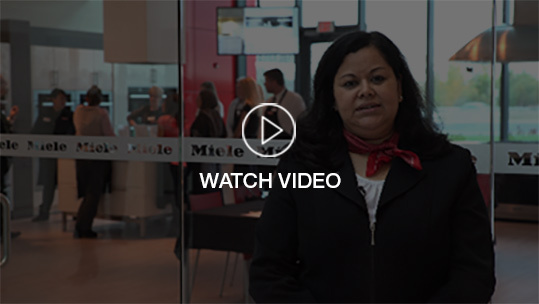 Our Miele Product Specialist will teach you how to utilize your Miele appliance to it’s full potential, and transform the way you cook at home. So you are now a proud owner of a Miele appliance, but not quite sure how to operate it? 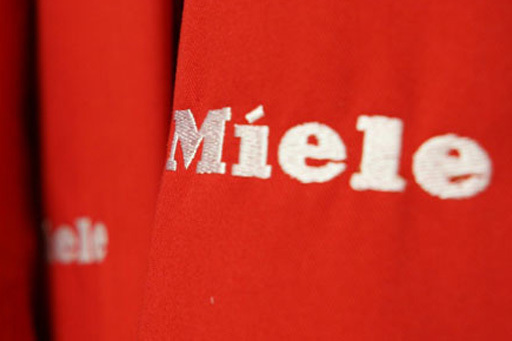 When you purchase from Miele, it is our commitment to support and assist you in making the best of your appliance. 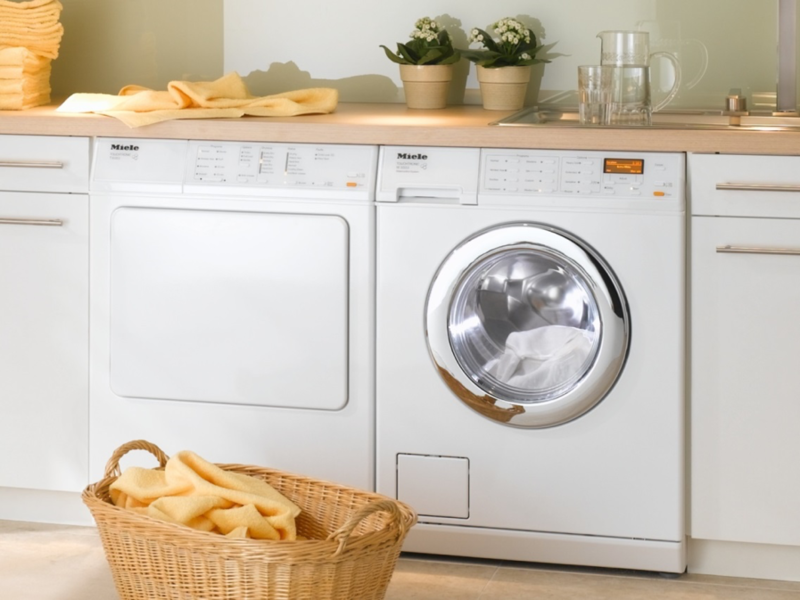 We also offer a class on Miele Care and cleaning appliances such as laundry systems, dishwashers and vacuums. This class will show you how to use these Miele appliances to keep your home spotless. Steam cooking is one of the healthiest ways to cook, and steam ovens are becoming increasingly popular in kitchen designs. 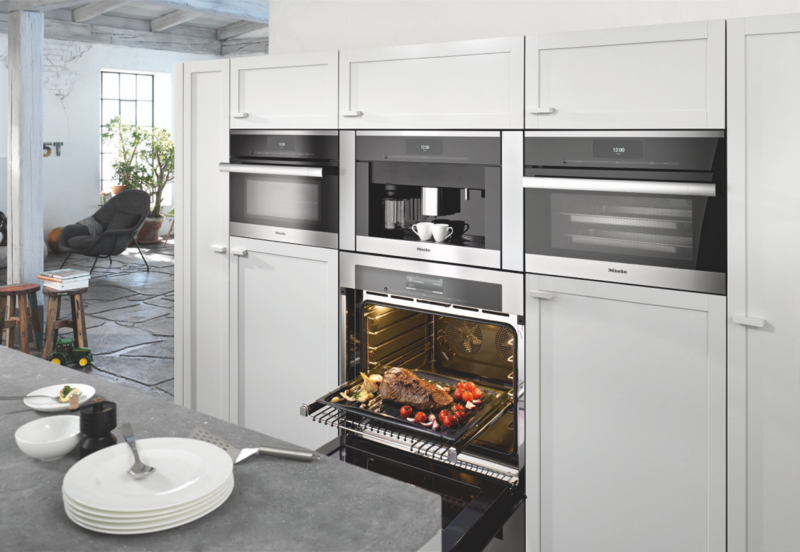 Miele has pioneered steam cooking with a range of high quality and high performance Steam Ovens. If you are considering a Miele Steam Oven or a Miele Combination Steam-Convection Oven this is the event for you. Our Miele Chef and Product Specialists will show you the versatility our Steam Oven offers, and how it can revolutionize the way you cook. We’ll take you through the features and benefits of different models so you’ll be able to establish which Miele Steam Oven is the one for you. 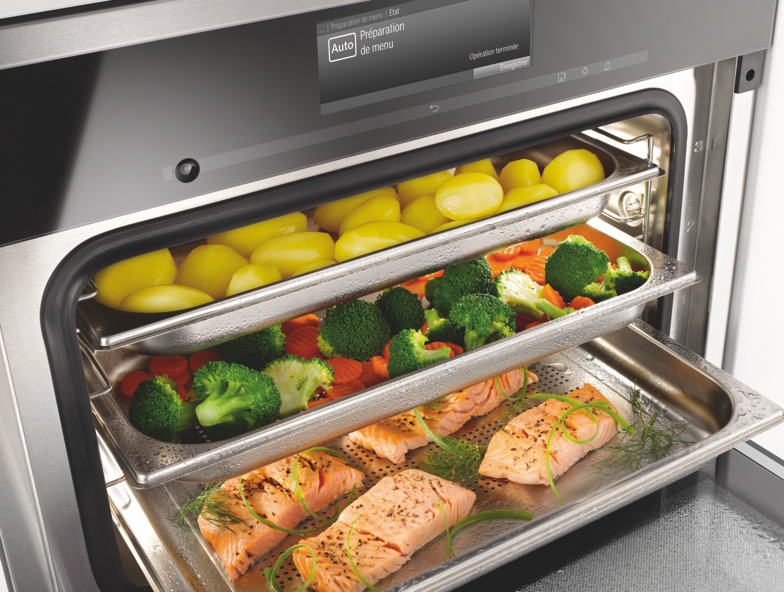 What makes a Miele Convection Oven so different from any other? In this introduction to Miele Convection Ovens, you will learn about all the special features that are exclusive to Miele. 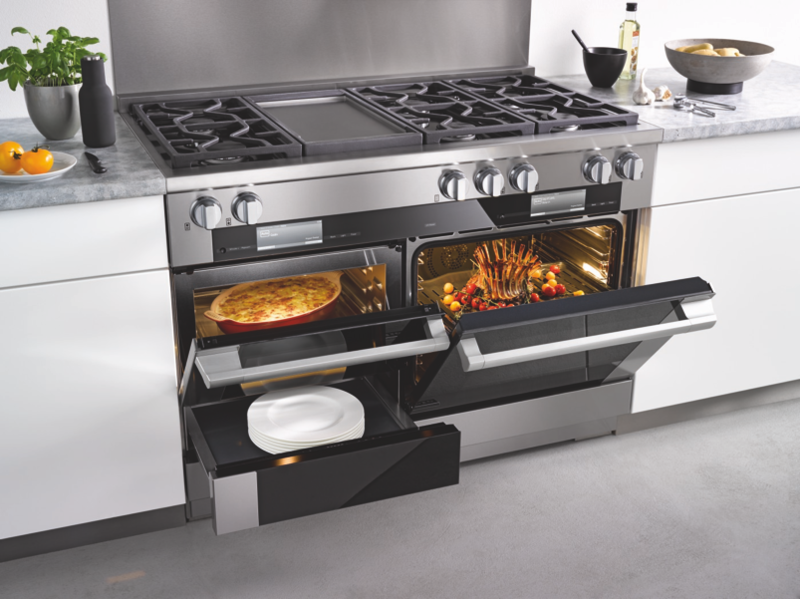 Our ovens have several different operating modes to help you produce the perfect heat for your dish. You will also learn about our MasterChef and MasterChef Plus programs, which feature over 100+ one touch programs for meat, baked goods, vegetables, and much more. 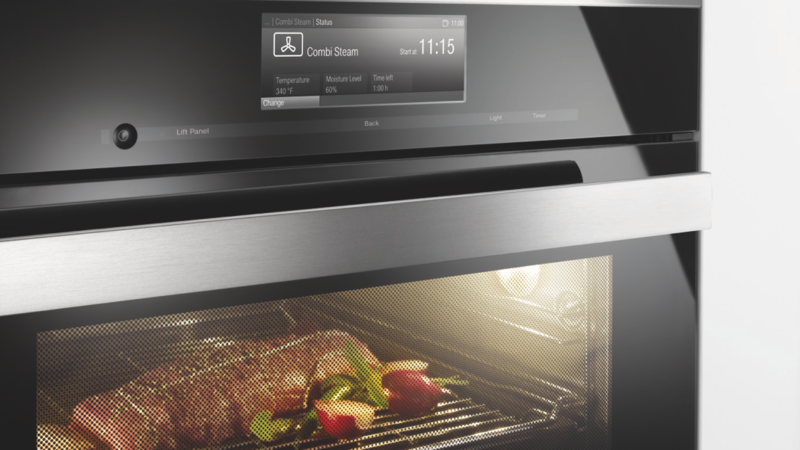 Our Miele Chef will demonstrate the benefits of using Moisture Plus with roast and baking, as well as how to use our wireless probes to achieve perfect temperatures for your meat. Also highlighted will be the convenience and functionality of the Miele Speed Oven, our Combination Convection-Microwave Oven, where you will learn how this versatile appliance can act as a regular convection oven, a microwave oven or in tandem, reducing standard cooking times by 35%. With a Miele Combination Steam-Convection Oven, you can choose from a range of cooking methods to produce healthier, great tasting food. At this demonstration, your eyes (and tastebuds) will be opened to fresh methods of cooking – combining the health and taste benefits of steam cooking with the more traditional convection features. Also highlighted will be the functionality of the Miele Speed Oven, our Combination Convection-Microwave Oven, where you will learn how this versatile appliance can act as a regular convection oven, a microwave oven or in tandem, reducing standard cooking times by 35%. As our Miele Chef creates a variety of dishes, you’ll discover the benefits of these two lifestyle ovens go well beyond healthy eating. As you sit down to appreciate the difference that varying cooking functions, temperatures and moisture levels can make to your food, you’ll have all your questions answered in an intimate environment. Are you debating between gas or induction, but can’t decide? 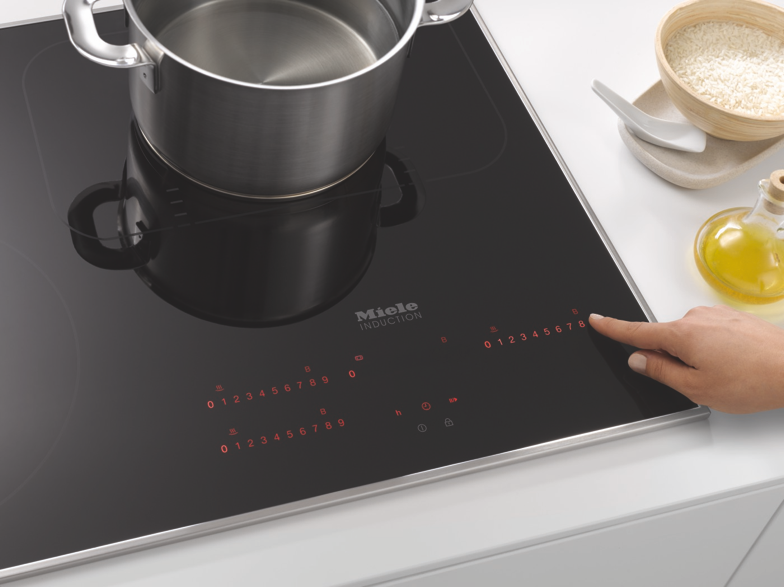 This demonstration showcases our state-of-the art Gas, Electric and Induction Cooktops, where our Miele Chef will demonstrate different styles of cooking between a gas, elecric and an induction cooktop, so you can see which cooktop suits your cooking style. Learn about the automatic heat-up function, and how to switch from full heat to reduced levels seamlessly on our Induction Cooktop, and see our amazing TrueSimmer function on our Gas Cooktop. As you sit down to appreciate all the delectable dishes, you’ll have all your questions answered in an intimate group environment. Our latest entry to complete the Miele family of cooking appliances is the Miele Range: A Range Like No Other. In this class, you will learn about the different sizes and power configurations. You will see our ultimate appliance - the 48” Dual Fuel M-Touch Range put to the test. Our Miele Chef will create dishes using this multi-purpose appliance that includes the M Touch Speed Oven, M Touch Convection Oven and the Push-to-Open Warming Drawer. 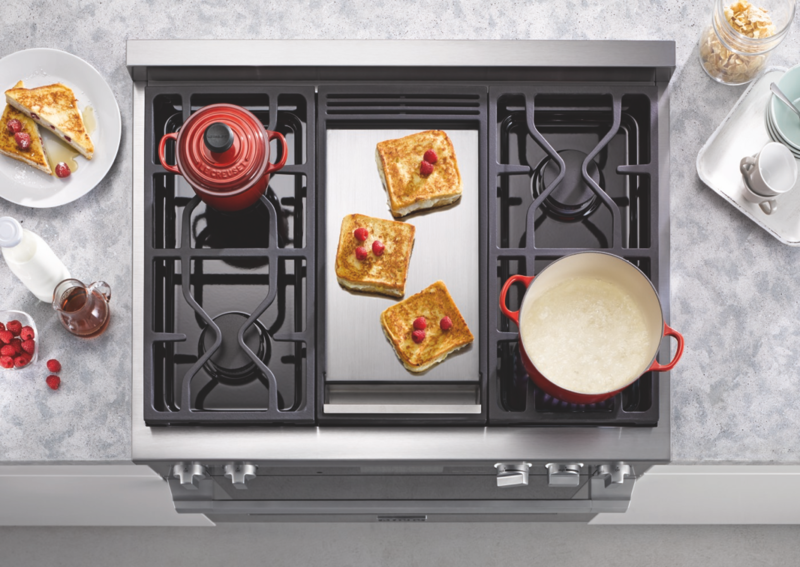 You will also learn about the professional series of range cooktops and accompanying ventilation hoods. At the very core of Miele is our technical and production competencies are laundry systems, dishwashers and floorcare products. If you’re looking for a dishwasher, new vacuum cleaner or laundry set – we invite you to join our team of product specialist as they demonstrate the superior features of these cleaning appliances. Known for their durability, reliability and convenience of use, while always trying to minimize the effects on the environment, learn how these German built and engineered appliances have been designed to last 20 years. Taking one of our MasterClass classes will help you maximize the enjoyment you get from your Miele, and transform the way you cook at home. So you think steam ovens are all about vegetables? Not anymore. Miele continues to be at the forefront of steam cooking innovation, taking it from an optional extra to a must in every health conscious home. Here is the perfect opportunity to open your eyes to the depth and range of dishes you can now create with steam. You will be truly amazed as our Miele Chef will show you how to use your Steam and/or Combination Steam and Convection Oven to achieve incredible results. In this class, you will learn how to use Menu Cooking to cooking three different items perfectly at the same time, see the benefits of our MasterChef programs, and gain an understanding of Combi Steam -- how to combine steam and convection heat at the same time to create moist and succulent foods. You and your fellow participants will work with our chef to prepare a gourmet, four-course meal, which you will sit down to enjoy afterwards. Want to enjoy soft bread, crispy crusts and tender meats? 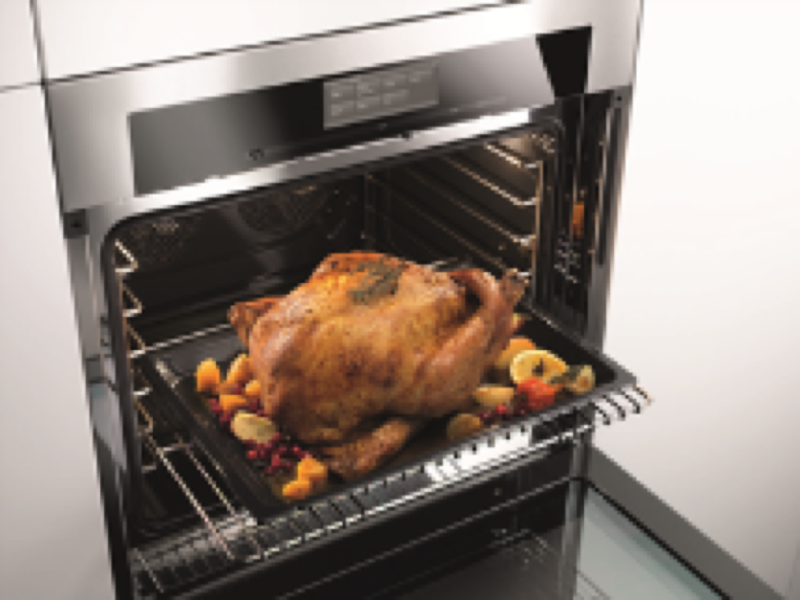 Knowing how to competently use your Miele Convection Oven can be the difference between good and great food. By learning the right techniques and oven functions to use, you’ll be able to take your cooking to professional standards. 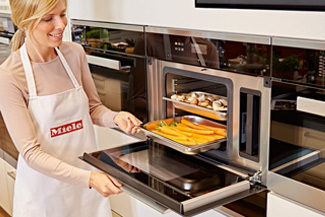 You will work with our Miele Chef to prepare several dishes using many of the operating modes featured in your oven including Convection Bake, Convection Roast, AutoRoast, Intensive Bake, MoisturePlus and MaxiBroil. You will also learn how to use many of the Special Modes including Proof and Dehydrate, as well as how to use the probe properly. Once you are done cooking, you will sit down to enjoy the four-course meal you helped prepare. Getting around the combination cooking functions of your Miele Speed Oven may appear intimidating for those new to this innovative style of cooking – when in reality with the Miele intuitive programs, it’s quite simple and logical. In this class, you will work with our Miele Chef to prepare an array of dishes using the Convection Oven modes as well as the Combination modes to help you to master the basics of using your appliance to create fantastic food and revolutionize the way you cook. When you are done cooking, you will sit down to enjoy the four-course meal you prepared. The Miele Range is a dream for any amateur or professional chefs aspiring to bring their cooking results to the next level. 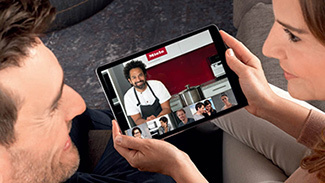 In this interactive and hands-on cooking class, you will work with our Miele Chef to prepare dishes using all the different features and appliances that come with our M-Touch Range. You will learn how to accurately roast meat with the wireless probe that comes with The Miele Range, as well as special features like MoisturePlus and our MasterChef programs. After trying out all the various functions of the Miele Range, you will sit down to enjoy the four-course meal that you helped prepare. We offer various classes during new product launches and the holiday season. These classes will demonstrate how to use Miele products and appliances to make your life at home easier and tastier. We invite you to browse our Experience Centre before or after the events. We would be happy to arrange an appointment for you with one of our Brand Ambassadors to help you select the right appliances for your needs. So you are now a proud owner of a Miele appliance, but not quite sure how to operate it? 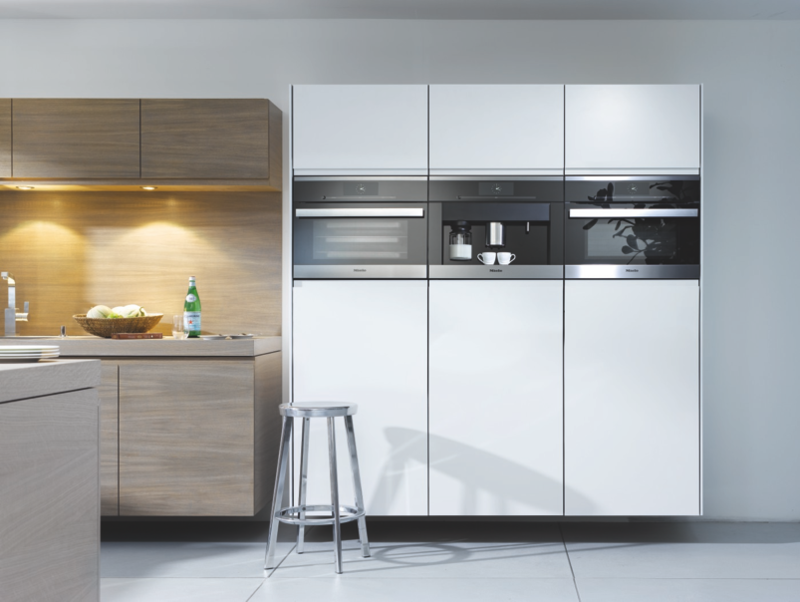 When you purchase from Miele, it is our commitment to support and assist you in making the best of your appliance. Our Miele Experience Centres across the country are destinations where you can take advantage of scheduling a one-time private consultation with one of our Product Specialists who can answer any and all of your questions about your appliance. To request this one-time, one-hour consultation at one of our Miele Experience Centres, please register. Cancellation policy: We allow cancellation up to 72 hours before the day of the scheduled class. We regret that Miele is unable to refund payments for cancellations made less than 72 hours before the day of the event. In the event of a cancellation of Miele Discovery classes, you are still eligible to receive the $25 Miele voucher which is applicable to CareCollection or applicable towards a Miele MasterClass. Miele reserves the right to cancel an event up to 2 days before the date. In the unlikely event that this happens we will contact you and offer an alternative date or a full refund.